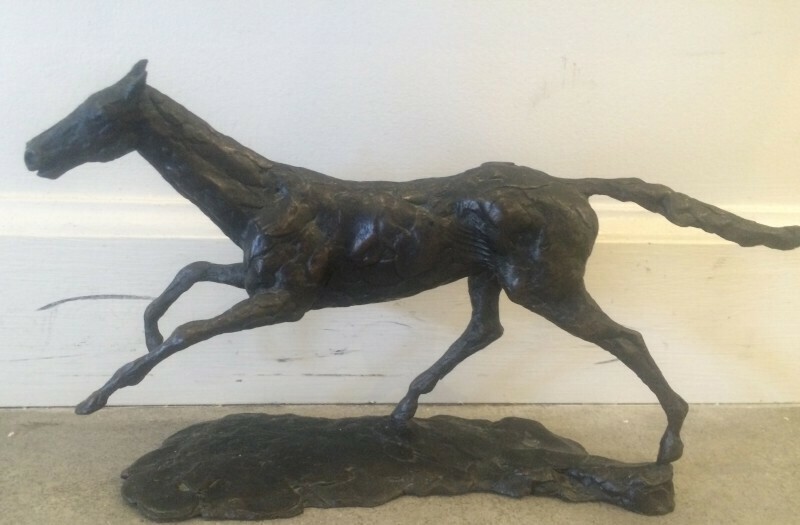 Elizabeth Rogers is a classically trained sculptor and landscape painter whose art is inspired by the direct study of nature and by the work of artists from a range of traditions and periods. 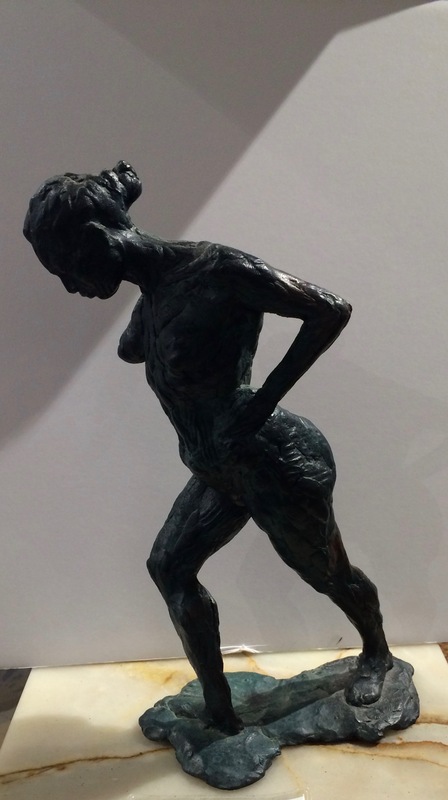 Within the medium of sculpture she seeks to create figurative work that is rich in plasticity and expression. Elizabeth’s paintings attempt to convey a breadth of space and atmosphere, as well as a tangible representation of form and space within the two-dimensional plane. 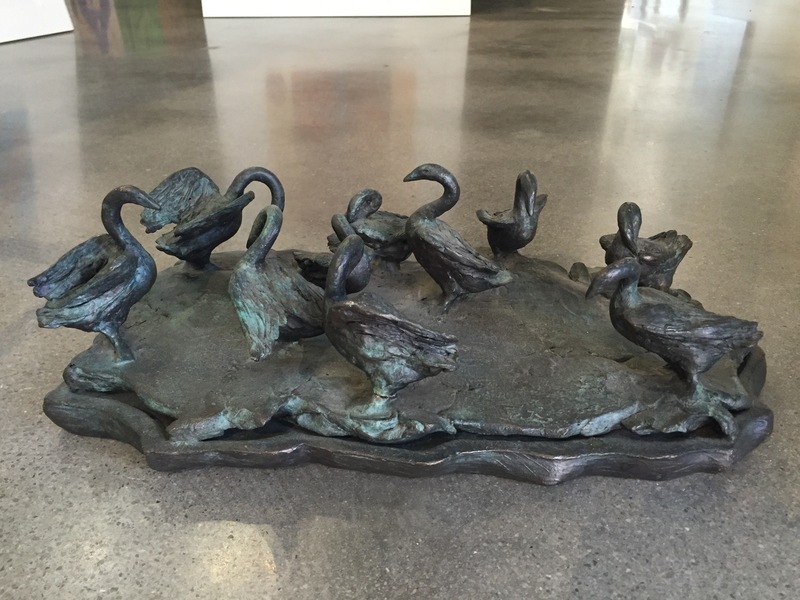 Drawing, the manipulation of watercolor on paper and oil on canvas, along with the modeling of clay and use of a foundry in the bronze casting process, are all employed in her work. A commissioned sculpture is realized after considering its proposed location, theme and purpose. In Her Own Words Imagery from my visual field and my imagination are the raw material of my art. To capture gesture and movement of the living form I trained in the figurative tradition. I sculpt, paint, and draw. To explore my ideas I draw and make small models. I am intrigued by the process of carving three-dimensional spaces with line on a two-dimensional plane. 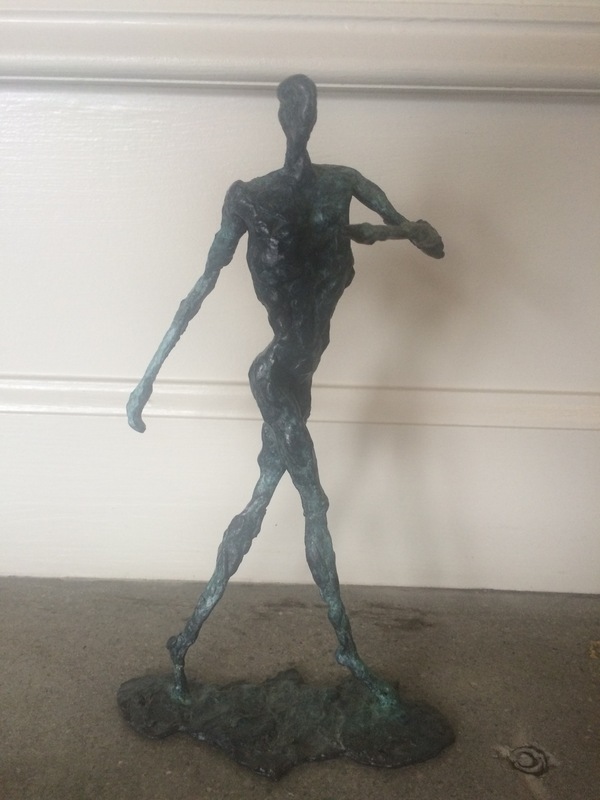 I sculpt to create figurative work that is rich in plasticity, movement, and expression. I paint to create a breadth of space, atmosphere, and form within the two-dimensional plane. I study the expression of light in nature as it grazes land and water and is interrupted by clouds and weather. When painting directly from nature I try to capture a truthful impression or expression of the motif. I also create paintings, sculpture, and drawings from memory and imagination often veering into abstraction. At times, I work in pure abstraction. 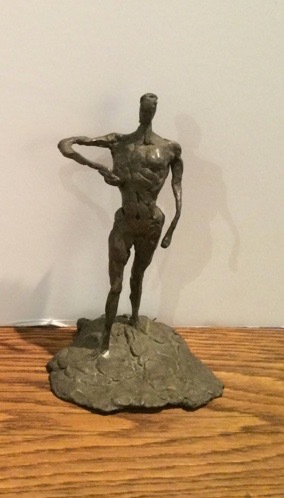 Education Graduate School of Figurative Art, New York Academy of Art, M.F.A. University of Michigan Western Michigan University, B.S. 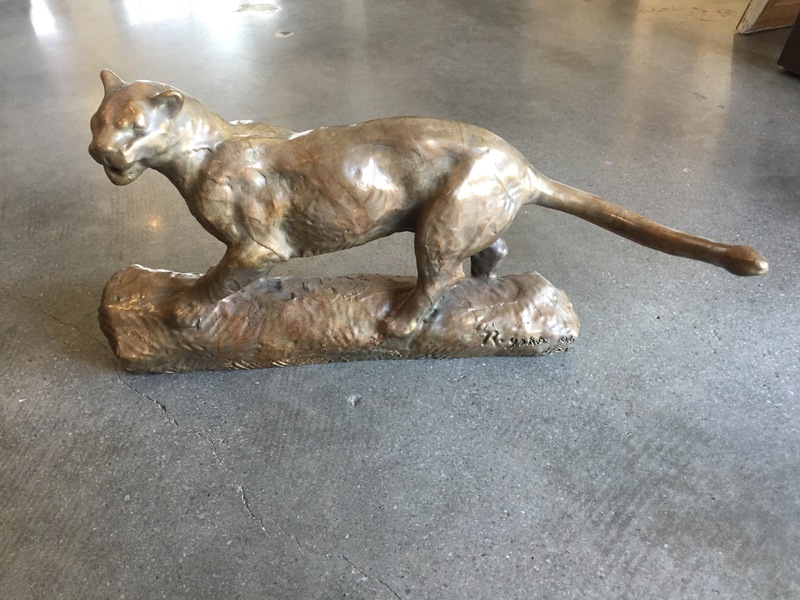 Galleries Ricco Maresca; New York, New York Gallery 1401; Chattanooga, TN Public Commissions CBL, Chattanooga TN commissioned Sculpture of Florida Panther for new Gulf Coast Town Center, Fort Meyers, FL, 2006. McKamey Animal Care and Adoption Center, Chattanooga, TN. 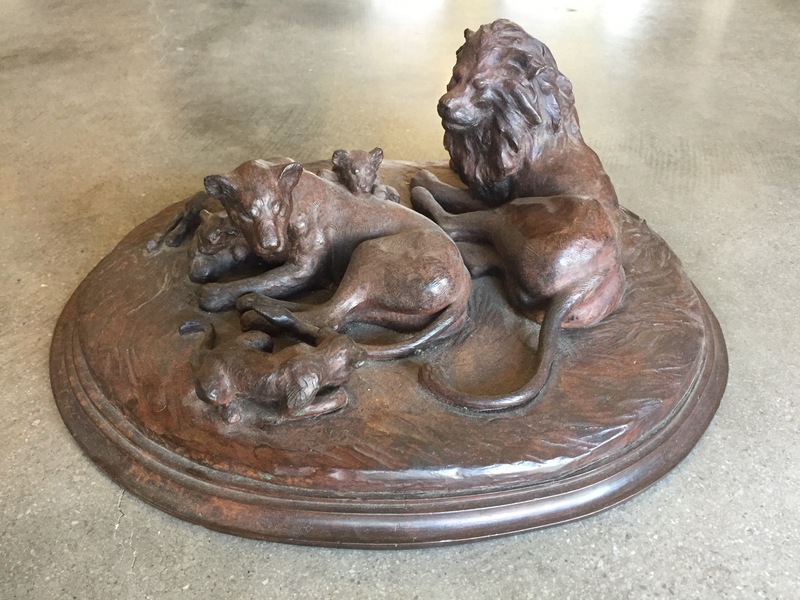 Purchased sculpture, Art Cats, to install permanently on new center grounds, 2006. Allied Arts, Chattanooga, TN, selected sculpture, Art Cats, to be installed in First Street Garden, 2005. Baylor Preparatory School, Chattanooga, TN. Sculpture of Calliope commissioned by class of 2004 for campus grounds, 2004. City of Saline, MI. Portrait of City founder commissioned for new City Hall, 2002. Erlanger Medical Hospital, Chattanooga, TN. Portrait of founder commissioned for main campus of Erlanger Hospital, 2001. Girl’s Preparatory School, Chattanooga, TN. Bronze sculpture of Oak Tree on pedestal with seating commissioned for atrium of new middle school, 2000. Our Lady of the Mount Catholic Church, Lookout Mountain, TN. Bronze sculpture of Virgin Mary commissioned for new memorial garden, 1999. Exhibitions WGF Gallery, Woodstock, NY, 2011. Decosimo & Rogers Studio Exhibition, Chattanooga, TN, 2006. New York Academy of Art, NY, 2005. Grenning Gallery, Sag Harbor, NY, 2002. Gallery 1410, Chattanooga, TN, 2001-Present. Century Club, New York, NY, 1998. University of Pennsylvania, Philadelphia, PA, 1997. Gallery on 2nd, New York, NY, 1996. Gramercy Arts Club, New York, NY, 1993.